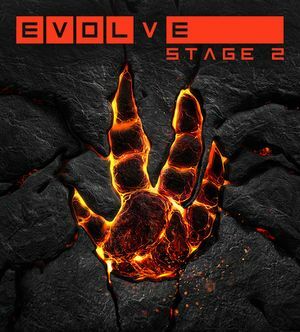 Formerly known as simply Evolve; the game's title changed due to a large update that converted the game into a free-to-play format. No longer available, except for current owners. Online servers for Stage 2 were shut down in September 2018. With free to play conversion, all the content can be unlocked by in game currency and DLC is no longer on sale. 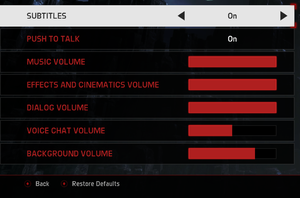 Earlier bought DLC is unlocked by default. A key press is still required to skip the intro. 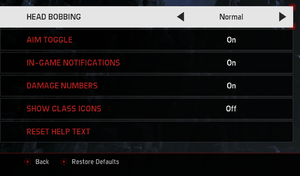 Removes the startup videos including the animated main menu. The file will be downloaded again on every update if missing. Renaming it is recommended, as the game may be updated at some point. The 2D elements are rendered on the outside screens. 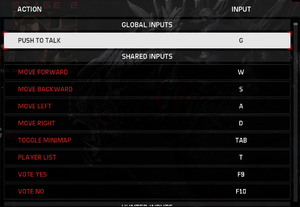 The subtitles and some UI elements does not scale with resolution. 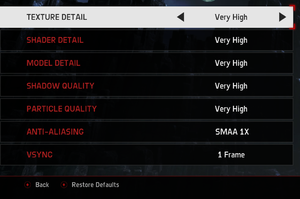 Type sys_MaxFPS = 120 changing the last number to your preferred max frame rate. ↵ Enter cannot be remapped. Single key bindings. 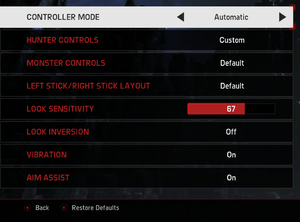 Ability to manually choose either keyboard or controller prompts. A separate audio language can be set through the +g_optionsLanguageAudio loc_name command. See Command line arguments. 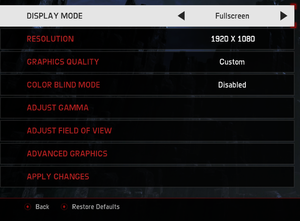 Separate volume slider for out of focus window, can be completely muted. Shut down in September 2018. Steamworks Can be used to link into my2K account as well. ↑ 2.0 2.1 File/folder structure within this directory reflects the path(s) listed for Windows and/or Steam game data (use Wine regedit to access Windows registry paths). Games with Steam Cloud support may store data in ~/.steam/steam/userdata/<user-id>/273350/ in addition to or instead of this directory. The app ID (273350) may differ in some cases. Treat backslashes as forward slashes. See the glossary page for details.